Yummy, yummy! Thank you for hosting lovely lady! Thanks so much for hosting! The PB frosting looks good, so I pinned it! Thanks for sharing it! I'm your newest GFC follower also, didn't realize I hadn't done that earlier! Hi Sarah, this frosting sounds so yummy! Thanks for the party. It is so much fun to come and link-up here with you :) I hope you have a truly blessed week, Sarah! Those cupcakes would have been wonderful on mine and Cainan's birthdays. We have the same one, except a difference in age. He was 9 and I was 84. Butter Cream is best and with peanut butter how heavenly. I haven't used peanut butter in my cooking that much. I don't know why since it is a much loved ingredient by all. Hmmm... Thanks for the party and letting me share. Best wishes for tasty dishes! Oh my, oh my!! !This looks heavenly good! Must try! I'm stuck to chocolate frosting and pink lemony frosting, now definitely must try this one! Thanks! You can never have too many cupcake recipes, lol! I absolutely adore cupcakes. Our son is getting married next month and his fiance's mom is making cupcakes for it. She tested them on us and they were yummy! Thanks for hosting today. The peanut butter frosting looks delicious! Thanks for hosting. I'm a peanut butter fan so this recipe looks great. Thanks for sharing with us at TTF. As I really LOOOOOOOOOOVE PB I'm actually very thankful to you for this recipe! Sarah, your peanut butter frosting recipe sounds like a good one. I will copy it. Thanks for sharing at my HOME. This recipe sounds delicious. 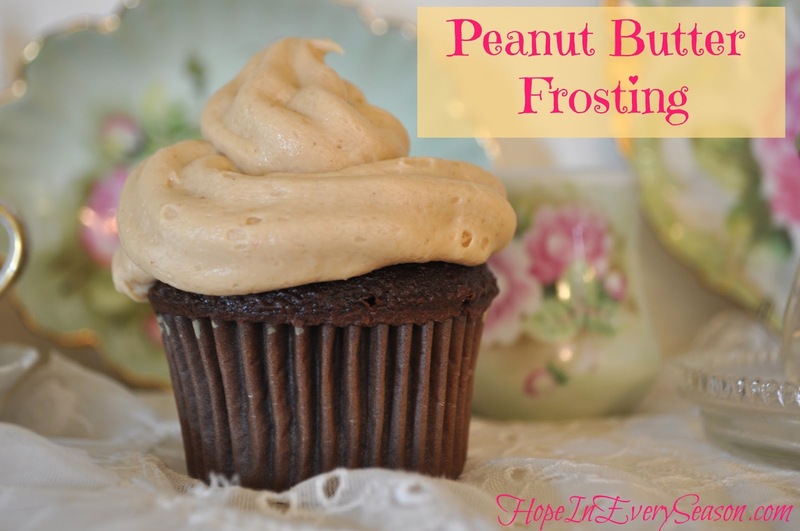 I am a peanut butter and chocolate fan and would love some cupcakes right now! Thanks for linking up to the Friday Follow Along. Stop by tomorrow, you are featured! So I Pinned the frosting recipe so I can find it when I want an interesting frosting. I have made cakes from scratch for years and years. I love your frosting... this is my favorite.